Urban Apartments offers a hand-picked selection of more than 250 stylish & fully equipped apartments in central & sought after Berlin locations (Mitte, Prenzlauer Berg, Kreuzberg, Friedrichshain, Schöneberg, Charlottenburg). Customers are overall happy with Urban Apartments. Customers would gladly stay here again. Happy with pretty much all aspects of the rental. Everything was high spec - only small recommendation would be to have a bigger bed and better bed linens. Very comfortable otherwise and super location. Rental agent was easy to deal with and very responsive. Die Lage der Wohnung und die Anbindung an den öffentlichen Nahverkehr ist ideal. Gut ist der reservierte Parkplatz in der Tiefgarage. Die moderne Ausstattung der Wohnung und der wöchentliche Reinigungs-Service sind sehr angenehm. A beautiful & spacious flat, very well decorated & functional. Tanja & her team provided the best customer service at all times. Very clean and lovely apartments! Great staff and all problems addressed in a very quick and efficient matter. Would recommend to all my friends! vielen Dank Tanja. Alles perfekt. Kommen wieder. I would highly recommend Urban Apartments to anyone looking for a furnished apartment in Berlin, particularly to anyone travelling for work. I had an exceptional experience with them. The price of the apartment was comparable to what one would obtain from Airbnb but with the advantage that one can visit the apartment (or at least have the precise address to get a good sense of the location) before signing the lease. This is especially good if one is interested in renting an apartment for a longer stay. The property manager always responded to my inquiries promptly and very professionally, and was always very helpful. The apartment was in excellent condition and had everything I needed for a very comfortable stay while in Berlin. I couldn't have been happier with how everything worked out! 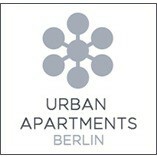 I will definitely rent an apartment through Urban Apartments for my next stay in Berlin. We had a fabulous experience at your very contemporary apartment. As very frequent worldwide travelers your location was beyond excellent, and the nearby cafes and restaurants you recommended were perfect. The very comfortable bed, and bathroom facilities were state of the art. The kitchen contained a superior offering of everything you could possibly need for a long stay.. The apartment had a large beautiful garden immediately outside our door. It was nice to feel the overall security offered by your many features. You are very professional hosts. In einer Wohnung von Urban Apartments haben wir erstmalig während der Renovierung unserer eigenen Wohnung selbst gewohnt – über zwei Wochen im Sommer mit eigenem Garten in einer ruhigen und wunderschönen Seitenstraße der Torstraße. Seither bringen wir alle unsere Gäste und Firmenkunden immer hier unter, die Ausstattung der Wohnungen ist edel, alles immer sauber und bei jeglichem Wunsch oder ist Tanja oder jemand aus ihrem Team stets sofort zur Stelle. Unbedingt weiterzuempfehlen.